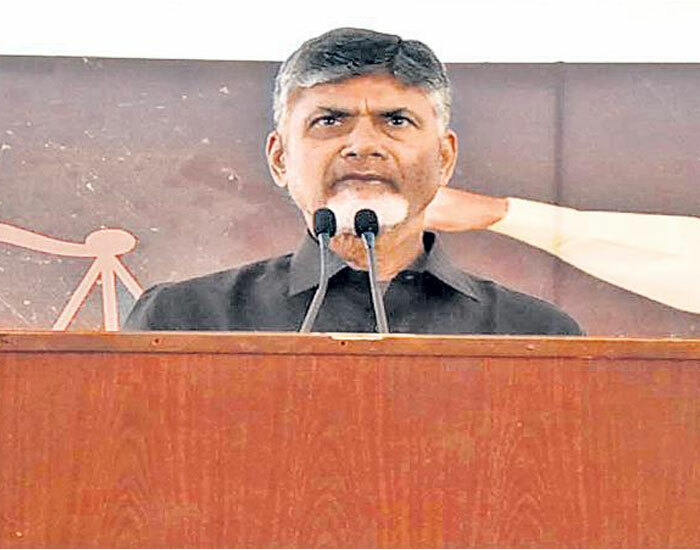 AP's CM Chandrababu Naidu appeared to have merely disturbed with the negative surveys against TDP for upcoming general elections. As such, he is giving ridiculous statements which are making people shocked to the core. One such statement from Naidu was heard at the venue of Delhi deeksha. The other day, PM Modi flaunted CBN and Nara Lokesh's corruption activities sarcastically. Maybe in retort Naidu said, "I'm husband of Bhuvaneswari. I'm father of Nara Lokesh and I'm grandfather of Nara Devansh. But then, what is your (Modi's) identity." It is a common practice one throws such proud statements when their beloved achieved something individually. For time being, his better half Bhuvaneswari is yet to achieve something while Nara Lokesh was forcibly made a politician irrespective he being too poor at delivering speeches and doing honest administration. And most ridiculously, CBN said he was proud of being Nara Devansh's grandfather. After all, Devansh is a kid of just a few years old. He can't achieve anything at this age. Then, how can CBN feel proud of Devansh? CBN seems to have unnecessarily dragged even kids for his political gains.